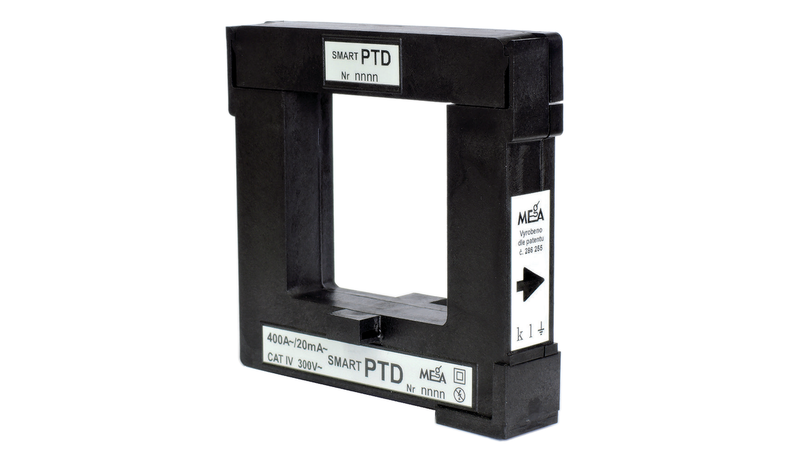 The split core current transformer SMART PTD is installed in LV networks on to live and insulated wires. In its operating state the transformer is characterized by insulation that complies with surface and air distances of the measurement category CAT IV. The transformer can be easily installed into already operated LV switchgear assemblies and live busbars without necessity of their mechanical adjustments. It is suitable as an alternating current sensor for modern low power measuring systems.